Families of people arriving in the Bay Area from Turkey on Tuesday night waited anxiously at San Francisco International Airport, praying their loved ones were not in the middle of a deadly terrorist attack earlier in the day at Istanbul Ataturk Airport. Jose Gonzalez was reunited with his two sons after their flight departed Istanbul just hours before suicide bombers and gunmen killed at least 36 people in the airport. "Nervous, I mean I just started panicking," Gonzalez said when asked what he was feeling after hearing news of the attack. His son Estaban was a bit shaken, too, as he arrived at SFO, realizing how close he had been in time and proximity to the attack. "I was actually at one of the spots where a suicide bomber blew up, so that was trippy for me," said Esteban, who got news of the attack on his flight. Ivan Paunovic called the airline to ensure his son made his flight out before the attack happened. But he was still concerned. "Even though they were already over Canada, I was still worried," he said. "What if somebody's on the plane? What if it's not over?" Despite the attack, there were passengers at SFO ready to take their late-night flight to Turkey. They checked in but initially weren't sure if they would be leaving. "We tried to contact the airlines, we tried to contact the offices, but we just couldn't go through the telephones," said Seema Mundhra. "So we decided let's come to the airport." Their flight eventually did take off. 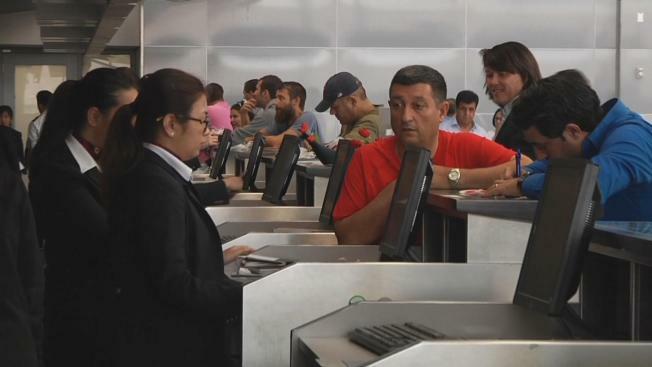 Officials at SFO said security at the aiport has been increased in the wake of the attack.